When I was younger, I had the nickname “Princess of Products” with some of my friends. I love new smelly lotions and luxurious potions; squeaky clean shampoos and lusciously fruity lip balms. No one can deny that sometimes a few new things can boost how a girl feels about herself in a nano-second. 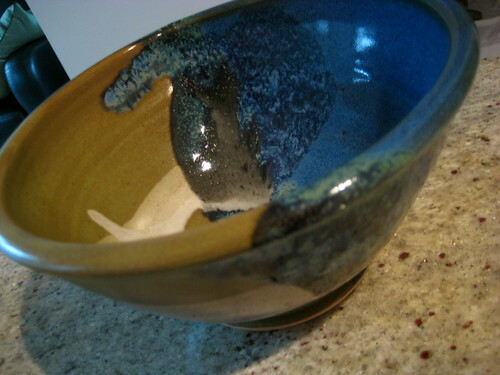 I’ve recently started a habit of collecting pottery pieces from Qualicum Beach potter, Darrel Hancock, and grabbed this serving bowl on the weekend. 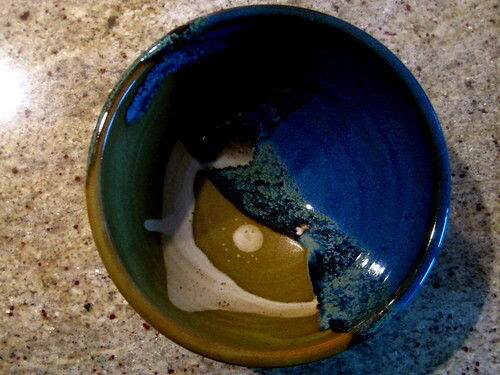 I am in love with his ocean-inspired glazes, minimalist design and functionality. 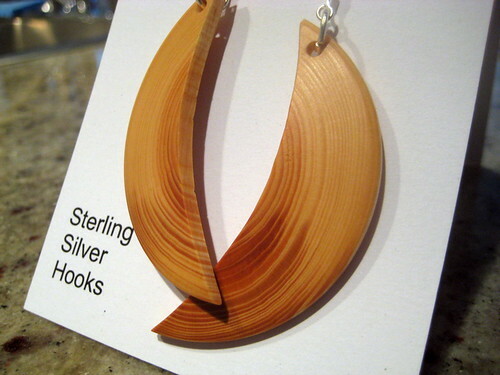 More of his work can be seen and purchased through Side Street Studio in Victoria, BC. Comox Valley carver Courtney Powell has taken his incredible skill and created bangles, necklaces and earrings in additions to his breathtaking masks, burl bowls and wall hangings. 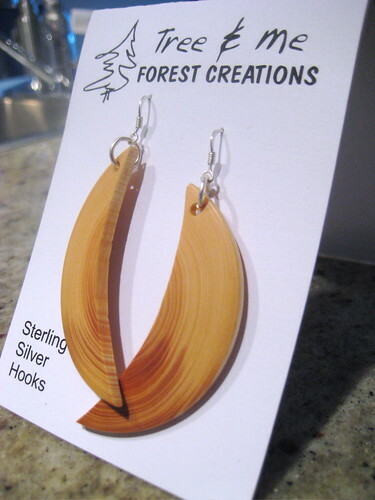 I couldn’t resist this pair of earrings crafted from scrap douglas fir branches harvested on Vancouver Island. For you mainlanders, keep your eye open for Courtney’s work selling in Whistler. 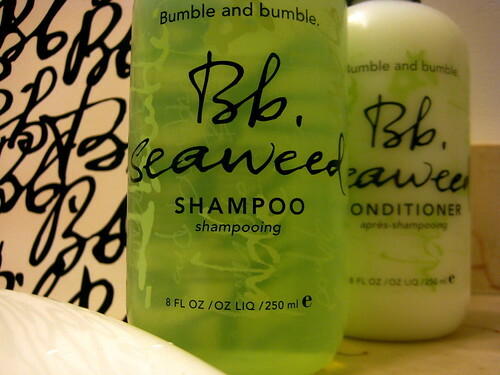 I doubt I’ll ever break my years-long addiction to Bumble & bumble., but I’m okay with that. I go through phases throughout the year: the Creme de Coco line in the winter, the Seaweed line in the spring and summer with Gentle Shampoo and Alojoba Conditioner to transition me into fall. Ethically-traded and animal-friendly are synonymous descriptions when it comes to The Body Shop. I’ve finally made my way back to the products that marked my teen years, including brazil nut-scented Body Butter and Born Lippy strawberry lip balm. Pink Grapefruit shower gel will ensure fresh and revived mornings through hot and sticky summer days. And last, but certainly not least, there are few things I enjoy as much as phenomenal television programming and Chris Meloni. 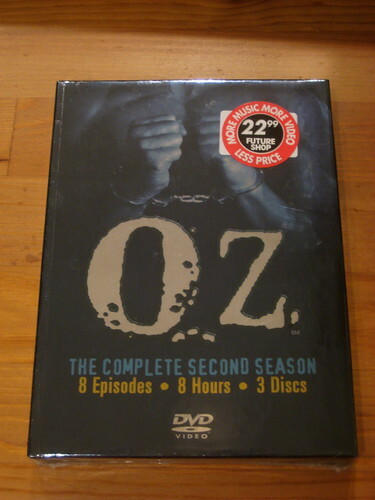 Clearly, the two dance very intimately in the culmination that is HBO’s Oz. I’ve said enough about it that nothing else is left to say. ooooh i have some of those earrings! I’m very fond of that bowl!! I can’t wait to buy new things to furnish my new home, wherever it will be. @Bethany – That is too bad about Bumble because the majority of ingredients are all natural. However, I’m excited about Marigold Natural Pharmacy and have yet to visit, so maybe we can stop in together next time I’m home!